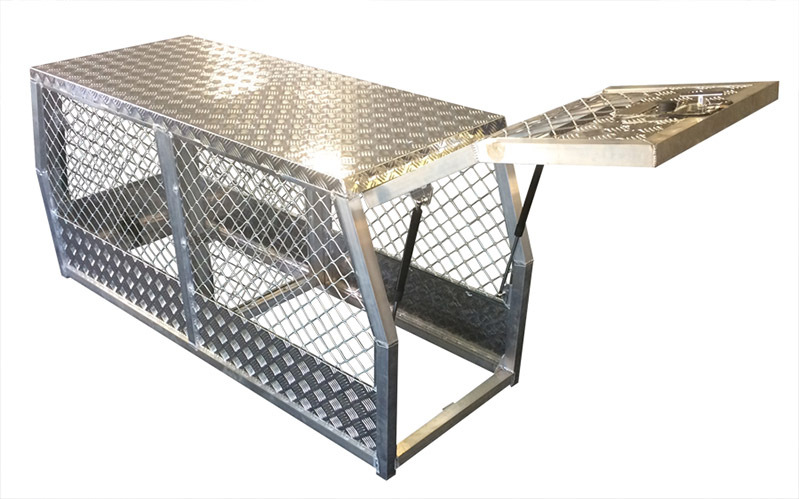 Dog Boxes by Redflag Industries. ► Aluminium Checker Plate Roof. ► Stainless Steel T Locks. ► Two Gas Struts per door. 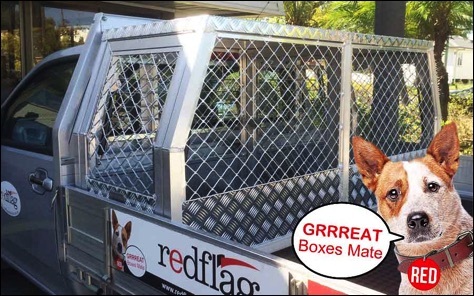 Red Flag Dog Boxes are perfect for safely transporting your dogs but can also be used as a secure area for storing items.